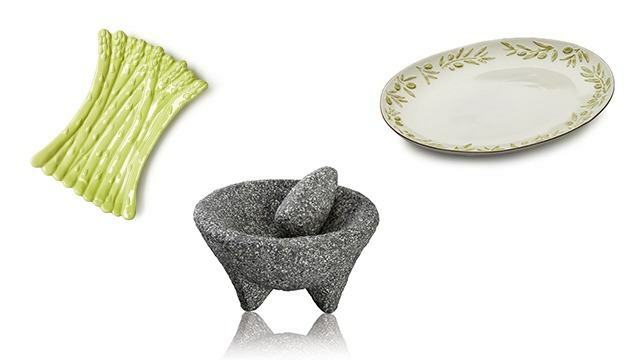 Just imagine how handsome this piece would look in your kitchen! 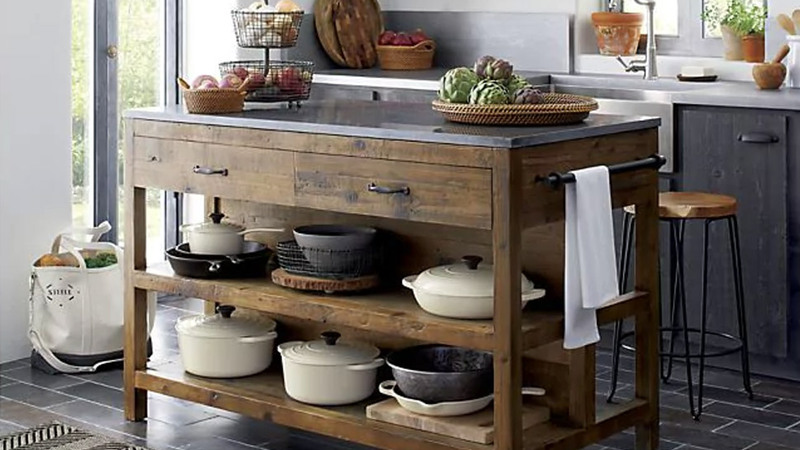 It is both rustic yet refined, and will help you provide extra prep or storage space in the kitchen. 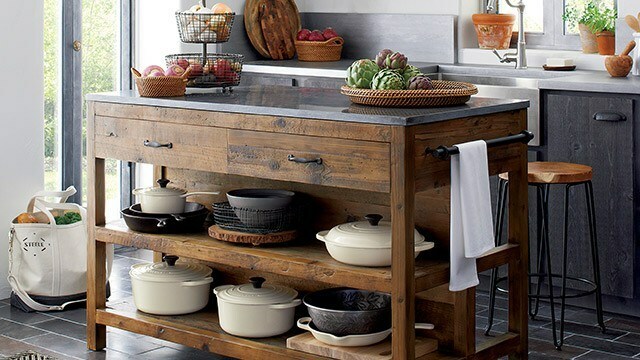 It's made with reclaimed pine from old buildings and doors, and topped with bluestone. 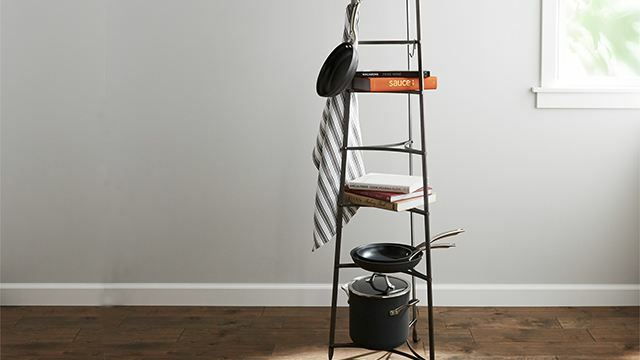 Save space in the kitchen with this steel rack—use it to store pots pans, cookbooks and more within a minimal footprint. It also has hooks for your most-used utensils. Shaped like a bundle of freshly picked asparagus and glazed in garden-fresh green, this serving platter is perfect for serving your favorite vegetable dishes. You can get creative with it also, and serve meat and cheese platters on it. This authentic Mexican mortar and pestle is difficult to source as it is—we're glad to know that Crate and Barrel has the real deal! This is useful in grinding herbs and spices and blending sauces and pastes; and a must-have for moles, salsa and fresh guacamole. This simple serving platter has elegance written all over it. Bring it out for your favorite weekend roasts, whether itâs chicken, pork, or beef. It will surely make the meal extra special.